According to the map, if the World was flat and you could see far enough, you could observe five of the six continents from Keameen Point. To the east is continental Europe and to the west North America. In between, the Atlantic Ocean provides direct southerly lines to Africa & South America. The gap between them should lead directly into the South Atlantic and onwards to Antarctica. Care should be taken on the unfenced clifftops in windy weather, but it is a wonderful little-known spot. 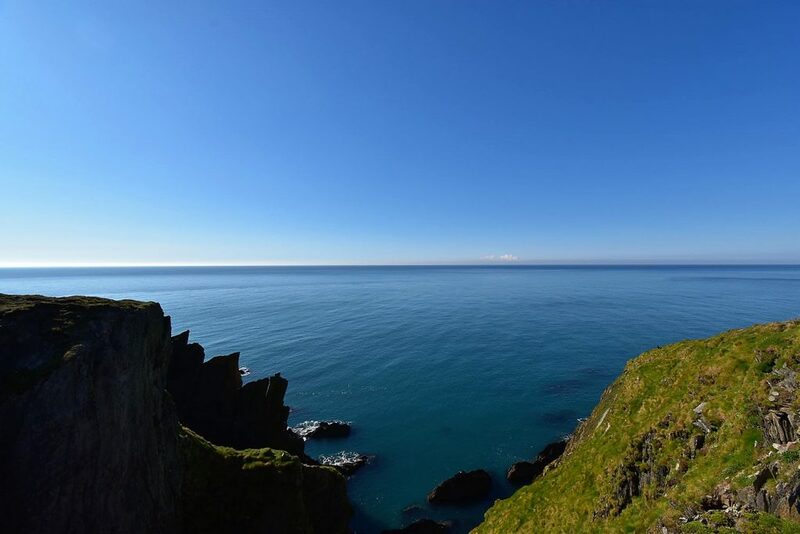 The ground gently dips towards the cliffs providing an isolated spot closed off from the rest of the World, where it is possible to be alone with the sky, the sea and those parts of nature that are prepared to show themselves. Patches of bare rock provide natural sitting places, suitable for observation and picnics that feel as if they are the very edge of the World. 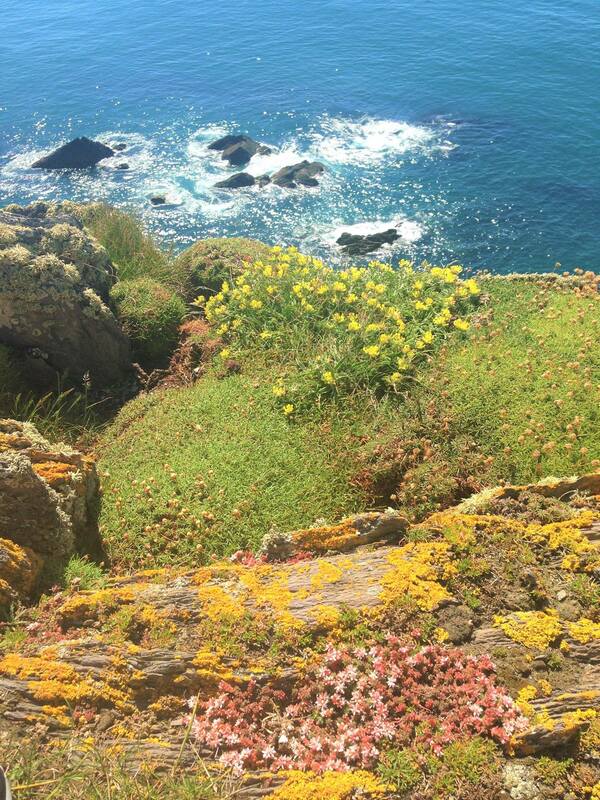 The natural clifftop meadow occupies a narrow strip between the cliff edge and the agricultural fields of Dunowen which changes with the seasons; clumps of sea thrift, yellow lichens, pink stonecrop and other wild flowers. At the right time of year the meadow blooms with purple orchids. 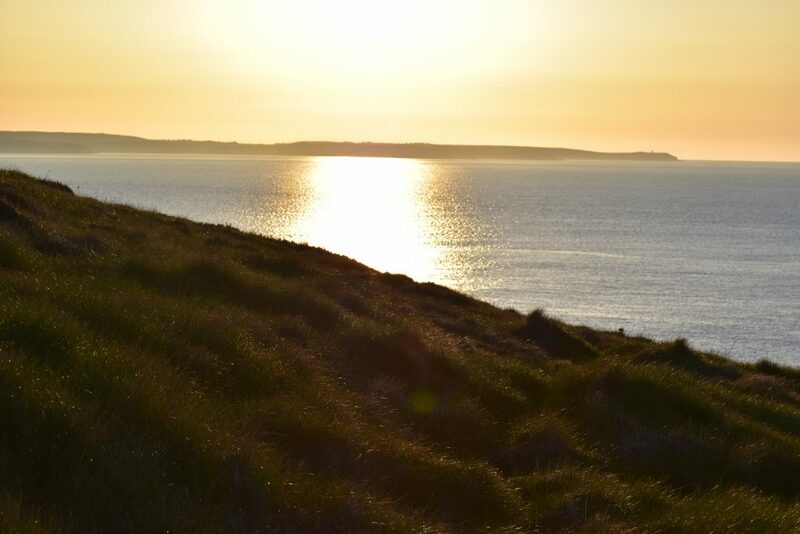 The clifftop vantage point stretches from Clonakilty Bay in the east to beyond Galley Head in the west. On clear days, in cooler air, the offshore gas platforms are seen on the horizon. 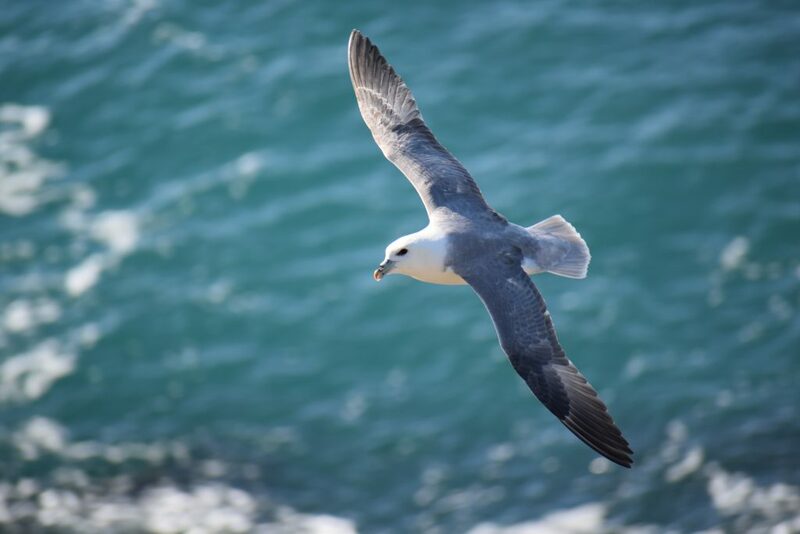 Observe passing whales and pods of dolphins feeding on bait balls, along with attending flocks of diving sea birds, or simply watch the ships and boats go by. 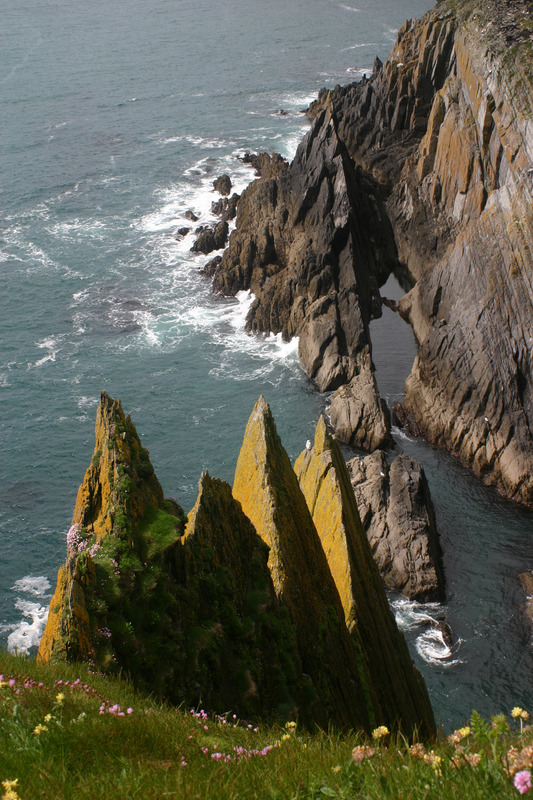 The cliffs, up to 25 metres high, provide updrafts and, whether in camouflaged clothing or not, seabirds of many types will glide close by. Photo opportunities include dramatic rockscapes as good as any seen on Games of Thrones, such as the set that look like shark or dragon teeth glinting in the morning sunlight. 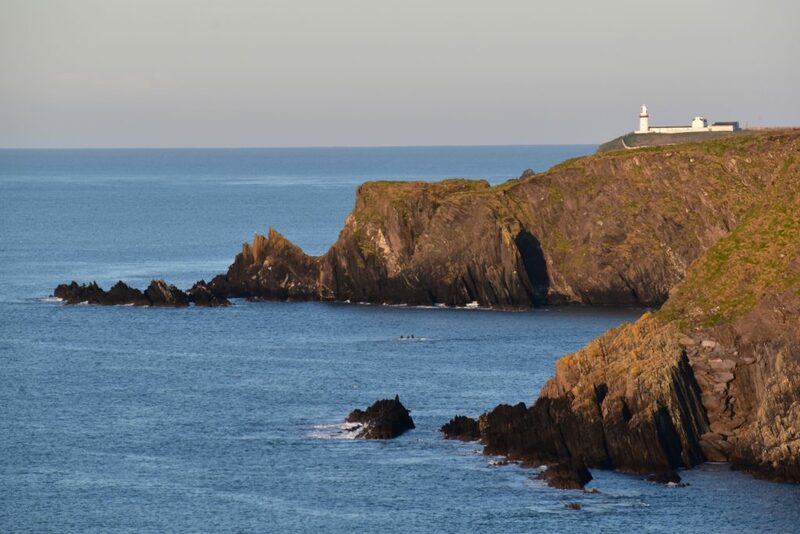 Keameen Point is just a short walk from Ballynoe House and a great place at sunrise, sunset or any part of the day. Supervision of children is required.